Pullman School District is located in Washington State and consists of three elementary schools, a middle school, and a high school. With over 2,800 active users and 1,100 supported machines in the district, the IT department at Pullman is extremely busy. The task of account management added to the headache since it was performed manually for all the staff and students in the district. IT staff would spend upwards of 10 to 15 minutes provisioning accounts for each staff member and student, which was extremely inefficient. In addition, the district didn't have guidelines for provisioning user accounts, naming them, or cleaning them up. The IT department at Pullman knew that the process was inefficient and that a solution was needed to solve their account management issues. While attending the APCE conference, they learned of Tools4ever's User Management Resource Administrator (UMRA). "We did some research and couldn't find any other solution that could do what UMRA does. It was the clear choice," commented Jacob Bergman, Systems Administrator at Pullman School District. The district decided to implement UMRA Automation and began to work closely with Tools4ever to tailor the solution to their needs. "I could spend entire days' worth of time provisioning accounts whereas now it's done by UMRA in seconds." With UMRA implemented at Pullman, all staff and student accounts entered into the Skyward information system are automatically provisioned in Active Directory, Google Apps, and Microsoft Exchange. Beyond entering the initial data into Skyward, this entire process takes place without any intervention from the IT department. In addition to user accounts, UMRA also provides each student and staff member with a network home folder and roaming profile. The permissions on these folders are automatically set, granting the new account and system administrator's access to the data. When a student or staff member leaves the district, UMRA automatically disables the user account, thus preventing unauthorized access to the district's network. After a period of time, the account is deleted from Active Directory, Google Apps, and Exchange, and the network folder is also removed. This process provides Pullman with a safer, cleaner, and more secure network. Aside from user account automation, UMRA also creates groups in Active Directory based on current classes in the district, and assigns membership to the correct groups for students and staff based upon their enrollment. This process aides in the automation of Moodle, which pulls class and enrollment information from these Active Directory groups into its own database. 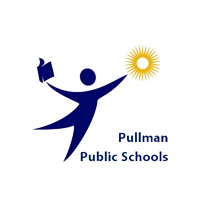 With UMRA in place, the Pullman school district has seen a great improvement in efficiency and consistency. "We now have a consistent time frame for provisioning and de-provisioning accounts," said Bergman. UMRA has also drastically reduced the amount of time spent on provisioning accounts. "I could spend entire days' worth of time provisioning accounts whereas now it's done by UMRA in seconds," he added. "Overall UMRA allows us to not focus on worrying about accounts. I can spend more time on important duties that actually require my time, rather than mundane tasks that UMRA now automates."